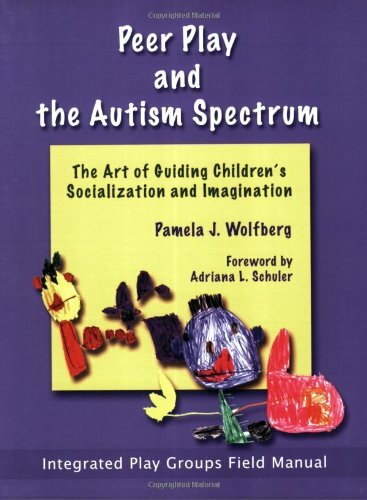 Peer Play and the Autism Spectrum: The Art of Guiding Children’s Socialization and Imagination by Pamela J. Wolfberg. This practical guide offers an introduction to the basic principles, tools, and techniques that comprise the Integrated Play Groups model. Wolfberg translates theory into effective and meaningful practice, giving practitioners, parents, and other caregivers the tools to initiate peer play groups for children in school, home, and community settings. Pp.264.